Smooth, cost-effective connectivity for visitors associated with research and education – using your existing eduroam service. In HE and FE, you often need to offer temporary connectivity to visitors associated with education or research – such as guest speakers, conference delegates, summer school students, and visitors from schools and colleges. If you have eduroam, then eduroam Visitor Access is a cost-effective way to offer a smooth connectivity experience for associates who don’t have accounts of their own. 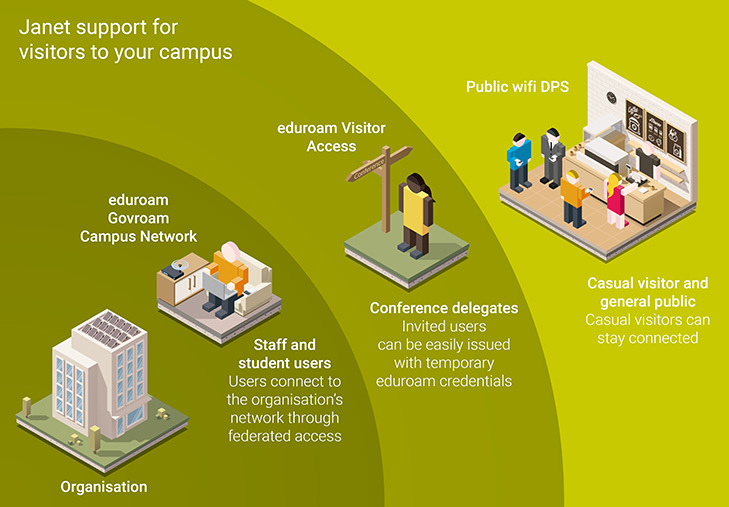 How can eduroam Visitor Access help you? Helps you reduce the burden on IT while remaining an affordable, cost-effective option.